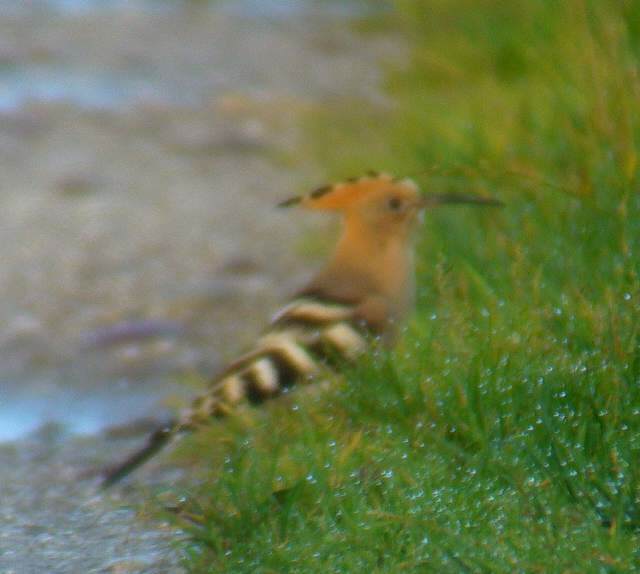 DUNGARVAN: Hoopoe still present at the Cunnigar. 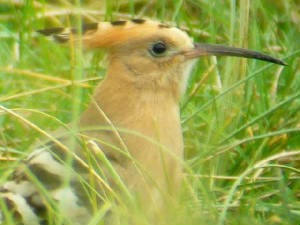 BALLYVOYLE COVE: Another Hoopoe found, also a juvenile Black Tern. 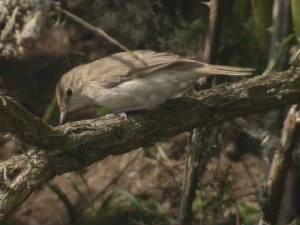 HELVICK HEAD: 2 Pied Flycatchers & a Garden Warbler. 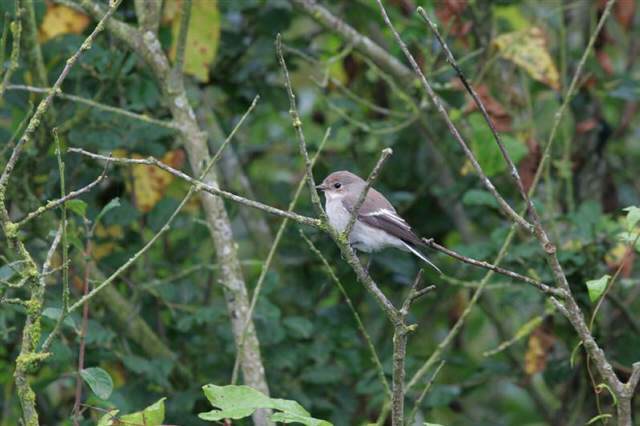 BROWNSTOWN HEAD: Pied Flycatcher, also 5 Delicate moths. RAM HEAD: Fin Whale less than 1 km offshore. HELVICK HEAD: 2 Great Skuas flew east, 6 Common Scoters, a Sooty Shearwater & a Great Northern Diver west during a 1-hr seawatch (1220-1320 hrs); on land, a Reed Warbler, Garden Warbler, 3 Pied Flycatchers & 2 Spotted Flycatchers. 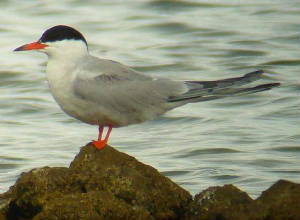 DUNGARVAN: Adult HOBBY at Abbeyside. ARDMORE: Little Auk, also good numbers of Spotted Flycatchers. BROWNSTOWN HEAD: Scarce Bordered Straw and 3 Delicate moths. BROWNSTOWN HEAD: 2 Pied Flycatchers, 4 Blackcaps, c.16 Chiffchaffs. BROWNSTOWN HEAD: 4 (update!) Reed Warblers (in main garden), Yellow Wagtail, Wheatear, 4 Pied Flycatchers, Whinchat, Whitethroat & 4 Willow Warblers; also a Vestal moth. TRAMORE TOWN: Migrant moths included an Old World Webworm (Hellula undulalis) & Antigastra catalaunalis. 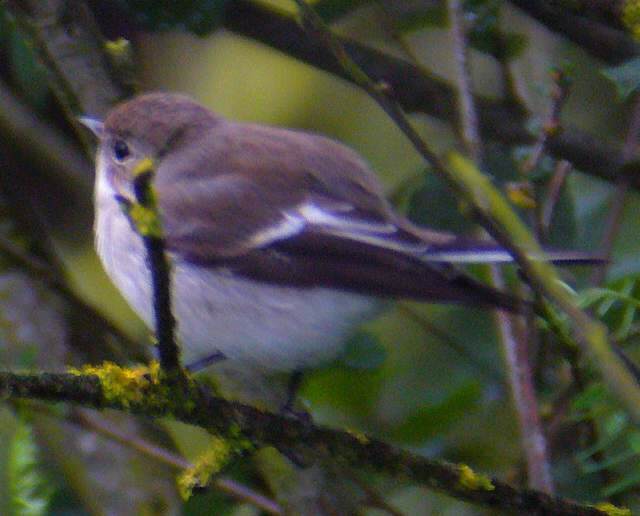 KNOCKANPOWER LOWER, RING: Pied Flycatcher. 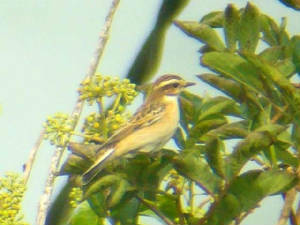 HELVICK HEAD: Whinchat, Garden Warbler, 4 Pied Flycatchers, also small numbers of Whitethroats & Spotted Flycatchers. HACKETSTOWN, nr Mine Head: Pied Flycatcher. HELVICK HEAD: Juvenile LONG-TAILED SKUA, 3 Arctic Skuas, Great Skua, juv Black Tern, juv Roseate Tern, c.5 Pied Flycatchers, c.5 Spotted Flycatchers, Whinchat, Reed Warbler, Garden Warbler & up to 6 Whitethroats. 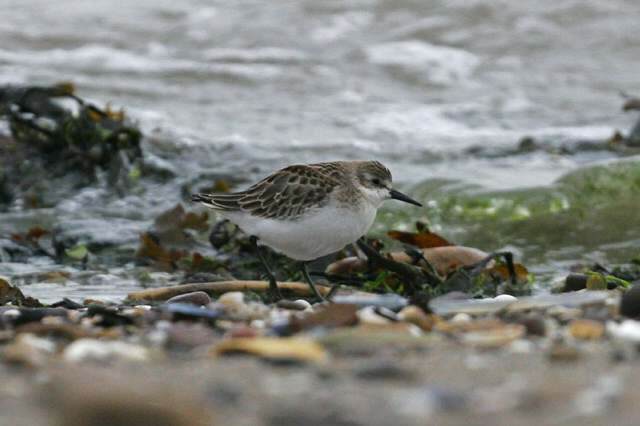 DUNGARVAN: Juvenile SEMIPALMATED SANDPIPER, Hoopoe & 2 Pied Flycatchers at the Cunnigar. BROWNSTOWN HEAD: Reed Warbler, 3 Whitethroats, 7 Willow Warblers, 4 Chiffchaffs, 3 Pied Flycatchers, 1 Wheatear, also a Bar-tailed Godwit overhead; migrant moths included a Delicate, 2 Scarce Bordered Straw and a Palpita vitrealis. 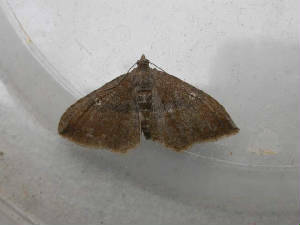 BROWNSTOWN HEAD: Migrant moths included a Scarce Bordered Straw & 6 Delicate. HELVICK HEAD: Leach's Petrel (killed by a Peregrine), 6 Storm Petrels (at least one also killed by Peregrine), Red-throated Diver, Balearic Shearwater, 2 Great Skuas, Arctic Skua & Pomarine Skua. 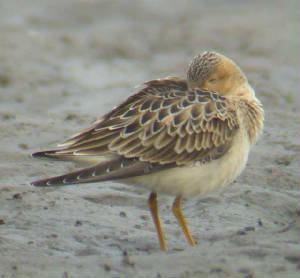 CLONEA STRAND: 3 Curlew Sandpipers and a stint species (unidentified) vat Ballinclamper. HELVICK HEAD: A 2nd-summer-type LONG-TAILED SKUA, 4 Arctic Skuas, 220 Manx Shearwaters & 3 Storm Petrels flew west during a 2-hr seawatch (1135-1335 hrs). LOWER BLACKWATER: Little Auk off Kilnaclash Quay. HELVICK HEAD: 2 Arctic Skuas, Great Skua & 2 Whitethroats. DUNGARVAN: Green Sandpiper at Ballyneety. 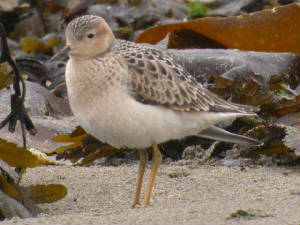 CLONEA STRAND: Juvenile Curlew Sandpiper at Ballinclamper. BROWNSTOWN HEAD: Female/immature Hen Harrier, 2 Wheatears, 3 Chiffchaffs. 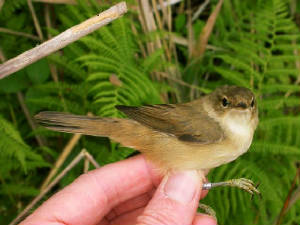 BELLE LAKE: Juvenile Reed Warbler & 10 Sedge Warblers ringed. BROWNSTOWN HEAD: 2 Wheatears, female Blackcap, 3 Chiffchaffs; migrant moths included a Vestal and 6 Delicate. 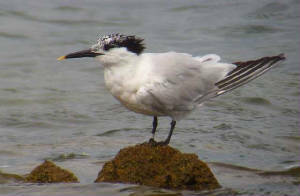 TRAMORE BAY: Arctic Skua, 60 Sandwich Terns and 1+ Arctic Tern. 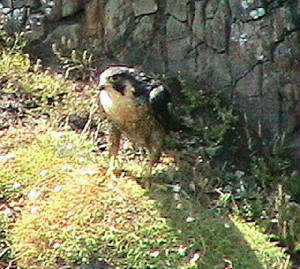 VILLIERSTOWN: Juvenile HOBBY flew up the River Blackwater. 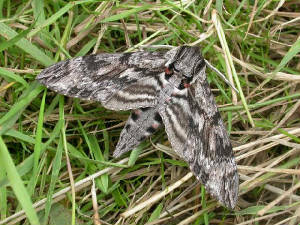 BROWNSTOWN HEAD: Migrant moths included a Nutmeg, 6 Delicate, 2 Scarce Bordered Straw & a Convolvulus Hawk-moth. 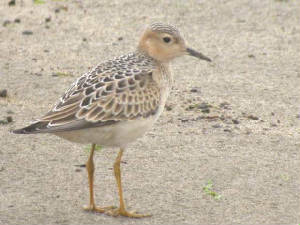 CLONEA STRAND: Juvenile BUFF-BREASTED SANDPIPER at Ballinclamper (3rd county record). DUNGARVAN: 2nd-winter Mediterranean Gull at Barnawee. ARDMORE: 4 Mediterranean Gulls (1st-winter & 3 adults) & 2 Arctic Skuas. 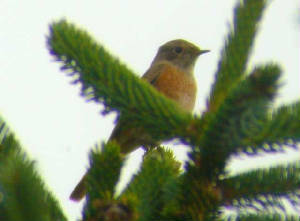 CROBALLY LOWER: Redstart, Pied Flycatcher & 4 Spotted Flycatchers. BROWNSTOWN HEAD: Pied Flycatcher, Grasshopper Warbler, female Blackcap, 4 Chiffchaffs & 3 Willow Warblers; also 340 Silver Y moths. ARDMORE: 2 Mediterranean Gulls (1st-winter + adult), 5 Arctic Skuas; also 3 Hummingbird Hawk-moths (+ 2 elsewhere in west Waterford). CROBALLY (W of Mine Head): Pied Flycatcher & Spotted Flycatcher. 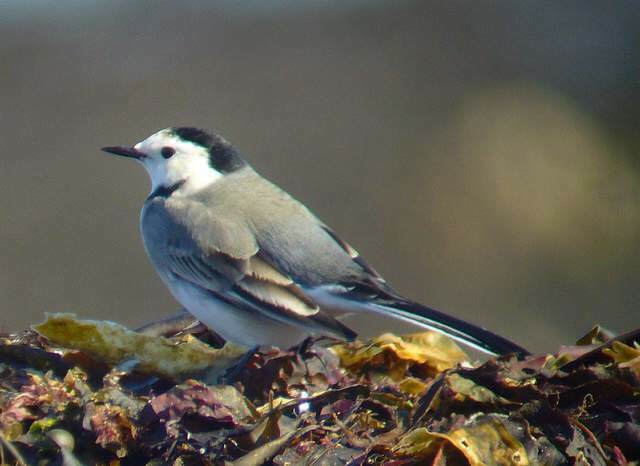 WEST WATERFORD: Auks calling close inshore at various locations; a juvenile Razorbill stranded on the Cunnigar, Dungarvan, was put back to sea, and two young auks were seen being preyed on by Great Black-backed Gulls. 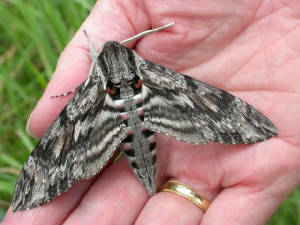 BROWNSTOWN HEAD: Migrant moths included a Convolvulus Hawk-moth, a Cosmopolitan, 3 Delicate & a Scarce Bordered Straw. DUNGARVAN: 2 juvenile Curlew Sandpipers at the Cunnigar. RAM HEAD: Bordered Straw moth. 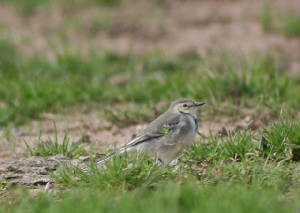 BROWNSTOWN HEAD: *Greenish Warbler refound. CLONEA STRAND: Juvenile Mediterranean Gull at Ballinclamper. BROWNSTOWN HEAD: *GREENISH WARBLER (2nd county record), 5 Willow Warblers. 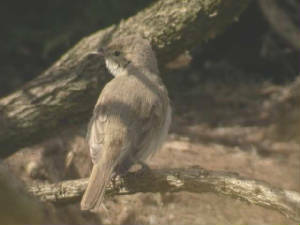 BROWNSTOWN HEAD: 2 Spotted Flycatchers. HELVICK HEAD: 3 Balearic Shearwaters (2 close inshore with feeding flock, 1 flew west), also 2 Sooty Shearwaters, 6 Storm Petrels, 3 Common Scoters, 3 Arctic Skuas, a Pomarine Skua & 4 Great Skuas. CLONEA STRAND: Mediterranean Gull at Ballinclamper. ARDMORE: Storm Petrel & 3 Mediterranean Gulls; Pied Flycatcher nr St Declan's Well, Ardmore Head. HELVICK HEAD: Balearic Shearwater close inshore with a seabird feeding flock; also 2-3 Storm Petrels, 2 Spotted Flycatchers. BELLE LAKE: Reed Warbler & 12 Sedge Warblers ringed; also a Water Rail & Blackcap. BROWNSTOWN HEAD: Spotted Flycatcher & 5 Willow Warblers. DUNGARVAN: Shoveler at the Cunnigar. 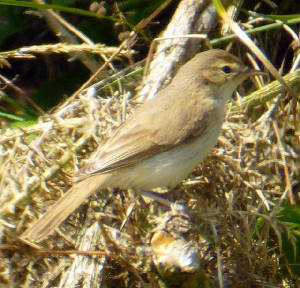 DUNGARVAN: *Booted Warbler refound on the Cunnigar. 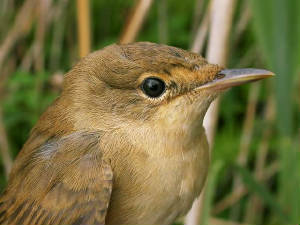 BELLE LAKE: Reed Warbler & 26 Sedge Warblers ringed; also a Blackcap, Whimbrel & 2 Water Rails. 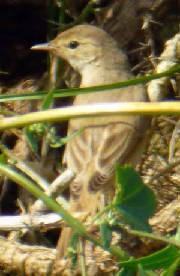 BROWNSTOWN HEAD: Spotted Flycatcher; migrant moths included a Scarce Bordered Straw. 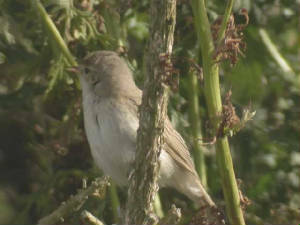 DUNGARVAN: *BOOTED WARBLER found on the Cunnigar (4th Irish record). 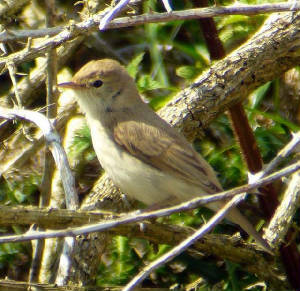 BROWNSTOWN HEAD: Spotted Flycatcher, Wheatear & 4 Willow Warblers. 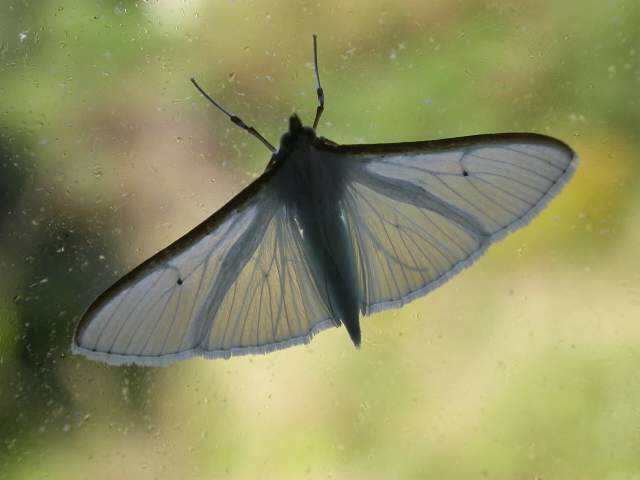 BROWNSTOWN HEAD: Migrant moths included a Delicate. DUNGARVAN: Buzzard over town, Green Sandpiper at Ballyneety. Nr GRACEDIEU (Tramore road): 2 Buzzards. BELLE LAKE: 2 juvenile Reed Warblers & 11 Sedge Warblers ringed; also a Green Sandpiper, Greenshank & Water Rail. 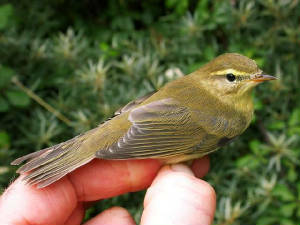 BROWNSTOWN HEAD: 8 Willow Warblers; migrant moths included 2 Gems. KNOCKBRACK QUARRY, nr Clashmore: Dragonflies here included many Emperors. TRAMORE BACKSTRAND: 52 Little Egrets at high-tide roosts. 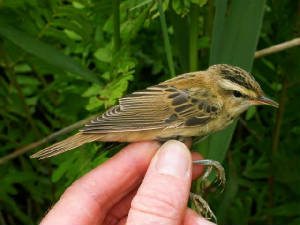 BELLE LAKE: 18 Sedge Warblers ringed. BROWNSTOWN HEAD: Sedge Warbler, 3 Willow Warblers, 3 Clouded Yellows & a Migrant Hawker dragonfly. RATHMOYLAN: 2 Yellowhammers, 3 Clouded Yellows & a Migrant Hawker. 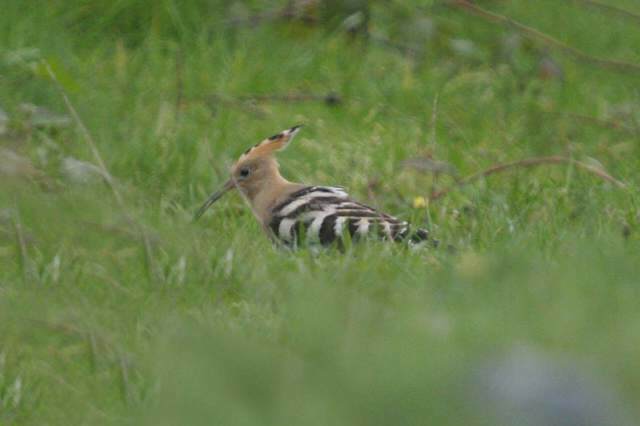 COUNTY WATERFORD: Total 91 bird species seen in a 'big day' today. ARDMORE: 2 adult Mediterranean Gulls. KILMEADEN POOLS: 2 Green Sandpipers. Nr PORTLAW: Pine Marten road-casualty. 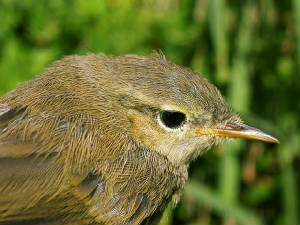 BELLE LAKE: 2 juvenile Reed Warblers & 13 Sedge Warblers ringed, also a Water Rail. BROWNSTOWN HEAD: Swift, 4 Wheatears, Sedge Warbler, 3 Willow Warblers, & 6 Clouded Yellows. 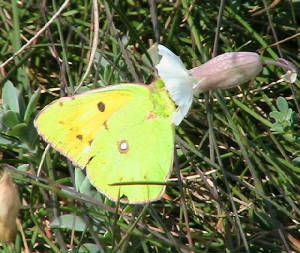 RAM HEAD & KNOCKBRACK QUARRY: 8+ Clouded Yellows. BELLE LAKE: 15 Sedge Warblers & a Blackcap ringed. BROWNSTOWN HEAD: Flock of 24 Choughs; migrant moths included a high total of 173 Dark Sword-grass. BRICKEY RIVER, Dungarvan: Green Sandpiper, Kingfisher & a Clouded Yellow. 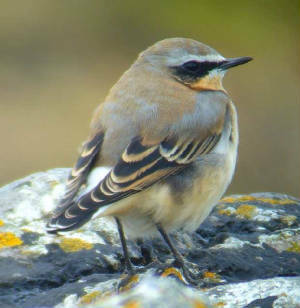 BROWNSTOWN HEAD: 2 Wheatears, 2 Willow Warblers. BELLE LAKE: 13 Sedge Warblers & 2 Blackcaps ringed. 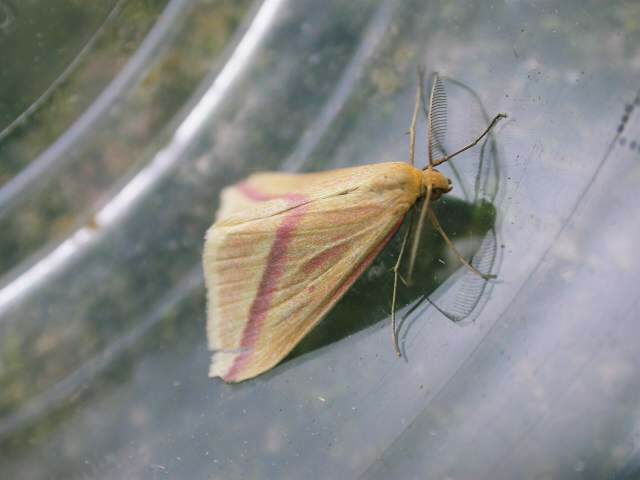 BROWNSTOWN HEAD: Migrant moths included a Bordered Straw. 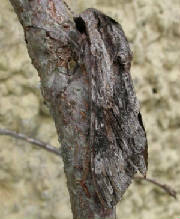 TRAMORE: Ni Moth [1st county record]. Nr LISMORE: Female or immature Hen Harrier. RAM HEAD: Total of 96 large or recently-fledged Kittiwake chicks at study plots that held 136 occupied nests on 14 June - 0.7 chicks per nest, much higher than usual here (though numbers of nests severely declined). Nr LISMORE: Male Hen Harrier.